Rutter was able to redefine "Urban Living" in Costa Mesa by obtaining entitlements on a commercial parking lot for 145 unit townhome development. Rutter succeeded in accomplishing a re-zone of the property to allow for an unprecedented doubling of the maximum density to 40 units per acre. A complete and elegant community, with amenities such as a fully furnished community room, state of the art fitness center, community resort pool and spa, and enclosed two car garages within a common parking structure secured for the use of residents and their guests defines this project. 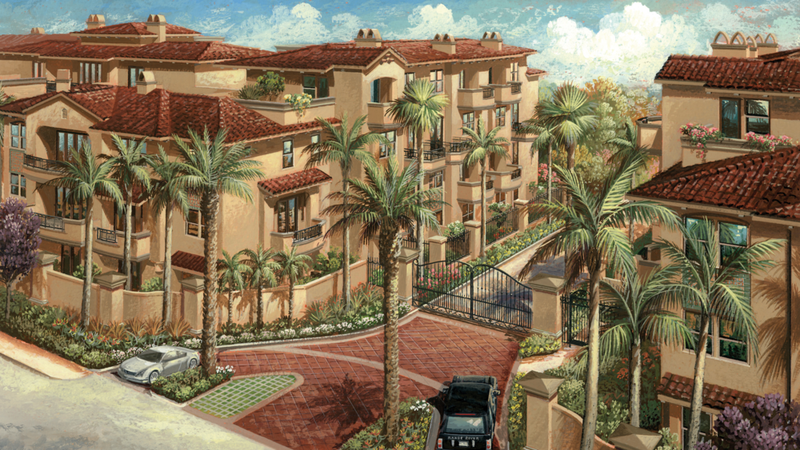 Pacifica is wood-framed four story Type V construction with both slab-on –grade and podium construction.